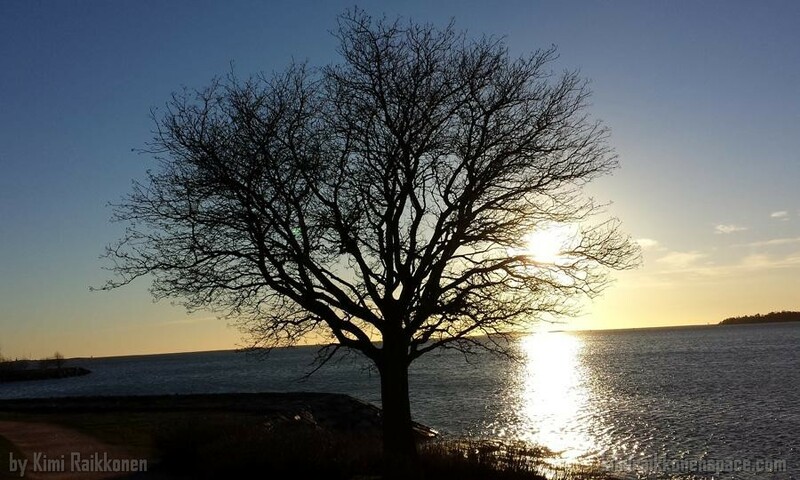 KIMI RAIKKONEN – An exclusive look at Kimi Raikkonen’s submission for the photo collection is of a tree in his native Finland. Not everyone can be a professional photographer, but for charity, Formula One drivers and team principals are trying. In fact, in association with Zoom, every F1 driver and team was given the chance to take photos, which will be auctioned off to benefit the Great Ormond Street Hospital Children’s Charity. You can bid for Raikkonen’s photo here. Along with the images, the Zoom auction includes cameras provided by Nikon, which have been signed by some of the biggest names in F1. The drivers and team principals were asked to take photographs of their chosen subject, and those images will be signed and auctioned by U.K.-based auction house Coys at an event on Friday, Feb. 7. It will take place at the InterContinental London Park Lane and hosted by the BBC’s F1 presenter, Suzi Perry. Images range from Fernando Alonso’s podium shot of the Monza crowd, to Nico Rosberg at the wheel of a 1938 W154 Mercedes, to the view from the window of F1 CEO Bernie Ecclestone’s house in Switzerland. The auction will also feature seven Nikon cameras signed by an F1 driver or legend. Sebastian Vettel, Kimi Räikkönen, Damon Hill, Jacque Villeneuve, John Surtees, Alain Prost and Sir Jackie Stewart each autographed cameras, and all of the proceeds will go to the GOSHCC. The photographs will also be collated in a special edition book, which will go on sale ahead of the 2014 F1 season. Kimi has previously taken photographs for Zoom Charity, here is his photo from the auction 2012.